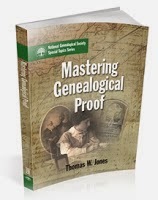 through the book Mastering Genealogical Proof, by Thomas W. Jones, in small groups of 10-15 individuals guided by a mentor. They discuss their thoughts, insights and questions about the five parts of the Genealogical Proof Standard (GPS), the chapter exercises and, their own research as it applies to the GPS. If you want to effectively apply the GPS to your own research, this successful program is an excellent way. Currently there are two groups with openings. One is a beginner/intermediate group. The other is an advanced group. Each group will cover one chapter per week. There are only a few spots left in each group so claim yours now! Group 33 with mentor Christine Sharbrough begins July 6th. 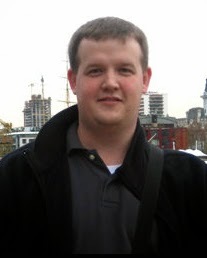 It is a beginner/intermediate group using the asynchronous chat format in Google+ Communities. They will cover one chapter per week. There is one spot left in this group. Group 34 with mentor Melanie Holtz begins June 29th. It is an advanced group also using the asynchronous chat format in Google + Communities. They will cover one chapter per week. If you are interested, send an email to genproofstudy@gmail.com and the administrator, Michelle Goodrum, will send you an invitation to register for the group. If you would like to be placed on the waiting list for future groups, send an email to genproofstudy@gmail.com and, if you have a preference, indicate whether you are interested in beginner/intermediate or an advanced group. before the Institute begins. You can check their website (https://www.apgen.org/conferences/index.html) for more information. You can experience two great events being held back-to-back at one location! I am very excited to announce the 2015 instructors for the Advanced Evidence Analysis Practicum course at the Salt Lake Institute of Genealogy (SLIG). They are top quality instructors (see bios below) and have each prepared an interesting case for the students to work through. These cases will provide experience working with different geographic locations and methodologies as participants research and then analyze and correlate evidence to solve the cases. If you would like to participate in this challenging course registration opens on June 14th. The Salt Lake Institute of Genealogy will be held January 12-16, 2015 at the Hilton Hotel in downtown Salt Lake City, Utah just blocks from the Family History Library. Nancy A. Peters, CG, is a full-time genealogist specializing in South Carolina and English research. Board-certified since 2011, she serves as an editorial assistant for On Board, the newsletter of the Board for Certification of Genealogists. She also volunteers as a collection care assistant in the conservation lab at the South Carolina Department of Archives and History in Columbia. Her articles published in the NGSQ and the UGA Crosssroads magazine have focused on establishing parentage using complex evidence analysis. In her career before genealogy, she designed technical training courses and provided instruction internationally for corporate clients in the software industry. Nancy holds advanced degrees from the University of Arizona and the London School of Economics in London, England. Paul K. Graham, CG, AG, is a genealogist at Ancestry.com. He holds a master’s degree in Heritage Preservation and is the author of several books and articles, primarily related to the state of Georgia. His work has been recognized with multiple awards, including the ASG Scholar Award and as winner of the NGS Family History Writing Contest. His television research credits include African American Lives (2006) and Who Do You Think You Are? (2012-2014). Paul currently resides in Salt Lake City. 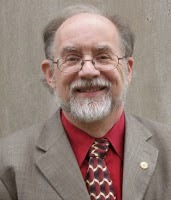 J. H. ("Jay") Fonkert, CG, is a Minnesota-based writer and genealogical educator. 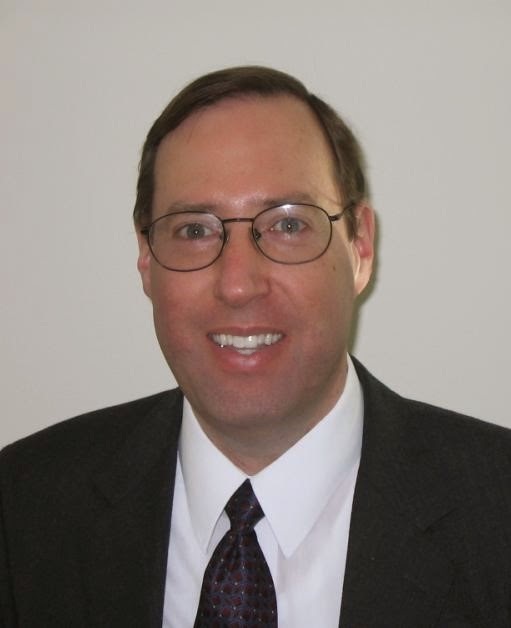 Managing editor of Minnesota Genealogist, he has published more than 30 articles and reviews in NGS Quarterly, NGS Magazine, APG Quarterly, Family Chronicle, The Septs, and Minnesota Genealogist. 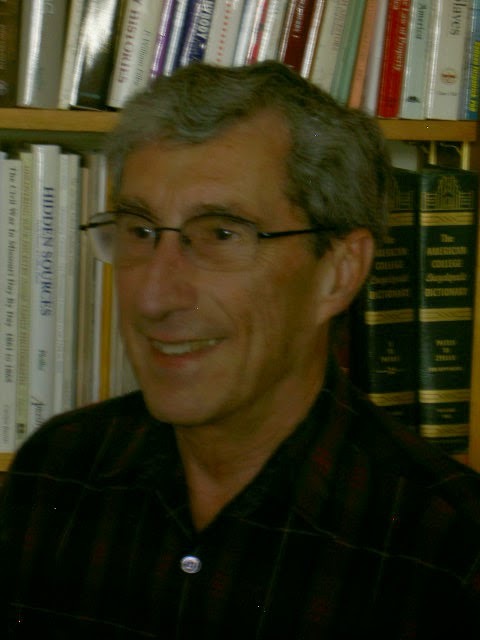 He is a Director of the Association of Professional Genealogists, a trustee of the BCG Education Fund, and a past-president of the Minnesota Genealogical Society. Angela Packer McGhie is the administrator of the ProGen Study Program where she manages online groups studying Professional Genealogy. Angela focuses her efforts on genealogy education as she serves as the coordinator for the Intermediate Genealogy and Historical Research course at the Institute of Genealogy and Historical Research (IGHR) at Samford University, and as coordinator of the Advanced Evidence Analysis Practicum at the Salt Lake Institute of Genealogy (SLIG). She has been an instructor at the National Institute for Genealogy Research (NIGR) in Washington, D.C., the Genealogical Research Institute of Pittsburgh (GRIP), and Howard Community College in Columbia, Maryland. Angela has completed the NGS American Genealogy course and studied at IGHR, SLIG and NIGR. She is a past president of the National Capital Area Chapter of the Association of Professional Genealogists and has published in the APG Quarterly. 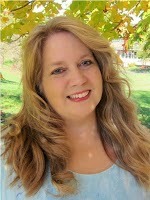 Kimberly Powell is a professional genealogist, author, and blogger. She has been writing about genealogy for About.com (http://genealogy.about.com) since 2000. She is the author of several books including The Everything Guide to Online Genealogy, 3rd edition (Adams Media, 2014), as well as articles for popular genealogy magazines such as BBC’s Who Do You Think You Are? magazine. Kimberly is the President of the Association of Professional Genealogists, and also serves on its Professional Development Committee. She is an instructor at the Institute of Genealogy and Historical Research (IGHR) and the Salt Lake Institute of Genealogy (SLIG). She also serves as webmaster for the Western Pennsylvania Genealogical Society. comprised of SLIG committee members and the family of the late Jimmy B. Parker. Applications and essays are due by July 1st and the winner will be announced July 15th.